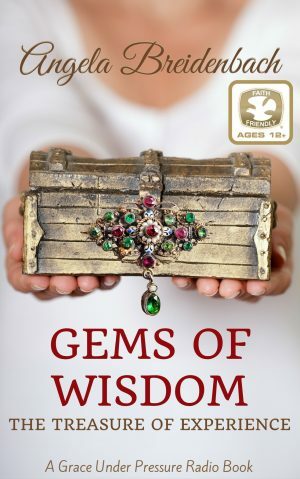 2016 Fall New Release Gems of Wisdom: The Treasure of Experience achieves a bucket list goal for Angela Breidenbach as her first book gaining a Dove Foundation Award. This book has been rated Faith-friendly by The Dove Foundation. It’s been a busy year leading to a busy Fall new release season for me. 3. Blue Ribbon Brides (includes Seven Medals & a Bride), Historical Romance Collection, 9 stories of women who win big at the local, state, or national fairs. This book releases Nov. 1st. 4. Next book I’m writing? Fanned Embers for the Second Chance Brides historical romance collection coming out Aug. 2017. 5. After that? Sagebrush Bride in the American Flowers series. It releases Aug. 2017. FYI: Not all the covers are ready yet, but I’ll share as soon as I can.